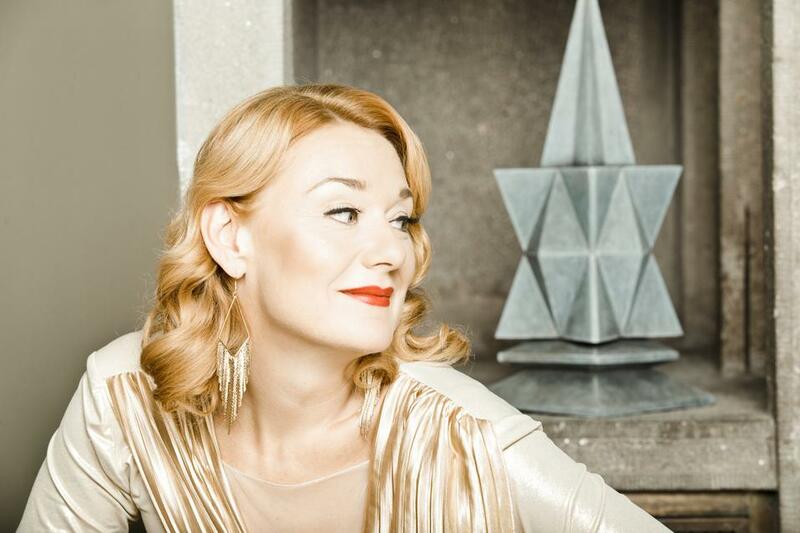 Mezzosoprano Magdalena Kožená is one of the most important singers of her generation and one of the most beautiful voices of her genre in recent years. The Czech singer debuted at the Palau de la Música Catalana in the 2015-16 season with a recital alongside La Cetra Barockorchester and was considered ‘one of the lyrical stand-outs of the Barcelonan season’. She will now be returning to the stage of the Catalan Art Nouveau venue with a Romantic and Late Romantic programme featuring lied and an outstanding piano accompanist in the form of Mitsuko Uchida. How would you describe the repertoire you’ll be performing, and with which of the composers do you identify most and why? Normally I perform a French repertoire because I feel it with great passion, but this time I wanted to do something different, so I’ll be performing a Germanic repertoire. Specifically, I’ve chosen Hugo Wolf’s Mörike Lieder, because I think they form an amazing piece. It’s also a very valuable experience for my career, because there are lots of aspects that require work, both technically and personally, since the texts are very philosophical and you need to have a good understanding of what they mean to be able to communicate it. And I only started exploring this work by Wolf a few years ago, relatively recently. It’s the same with Schumann and his Gedichte der Königin Maria Stuart, with the letters to Queen Elizabeth: it’s five songs that require a lot of work, because they talk about her feelings at a time when she knows she’s going to die. I’ve chosen Dvořák for the second part, because I feel like an ambassador for this music. I can sing in Czech, my mother tongue, and that makes me feel really lucky. I try to include Czech music in many of my recitals. As for the music of Schönberg, the cabaret songs may sometimes sound a bit strange to the audience, who may think it’s modern music. They were written when the composer was working in a bar and they’re typical cabaret songs, very melodic and fun, but with amazing harmony. Although they may sound like very modern pieces, they’re totally classic. They make it possible to show a happier feeling than the depressive tone of the first part. The second part is less dramatic. Is singing lied important for a soprano’s career? I think that nowadays, young singers don’t pay attention to this genre and they only focus on wanting to sing opera, because opera is more glamorous, you sing in front of large audiences, you earn more money and everything is on a bigger scale. I think it’s a mistake to focus so much on opera, because it’s very important to know how to do lied recitals, mini operas, and to work with poetic texts that are fantastic and that you often don’t find in opera texts. Opera librettos are good, of course, but they’re not interpretations of unique poems like lied. It’s important for young voices to learn to work without being accompanied by large orchestras. Lied often commands more respect, because you don’t have staging or the help of the wardrobe, just a piano and your voice. Lied is pure. You also perform in front of a smaller audience. And audience should understand lied as well, because audiences want to see big shows and it’s necessary to educate them with other repertoires and formats. Unfortunately, there aren’t lots of people who follow lied recitals, but I again insist that it’s very important to know how to sing without a director or orchestra and just with piano accompaniment. In lied recitals, you have to be purely artistic and give the best of yourself. What does it mean to you to have Mitsuko Uchida as piano accompanist? We’ve been performing together for years now and I think she’s one of the best pianists around today. 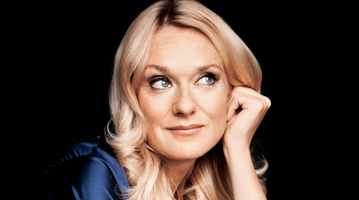 She grew up in Vienna and has a very direct relationship with German lied and knows the repertoire well. This means that although she doesn’t sing, she understands the texts perfectly because she speaks German and she’s a lied lover. The collaboration is a pleasure for me; we’ve worked several times with other programmes. What do you think about the Palau de la Música Catalana? And Barcelona? The Palau is beautiful. I like the country in general. I live in Germany and you know that Germans live to work, while you, on the other hand, work to live. You’re people who take advantage of life and enjoy it. The audience always makes me feel at home and I can feel the warmth. I capture their enthusiasm and their kindness from the stage. It’s always wonderful.